Using silk screens, water based inks and hand cut stencils, you will have the opportunity design and screen print your own bespoke tshirt. You will also have the option of printing onto a tote bag instead if a tshirt isn’t your thing. We provide everything you need including demonstrating how to make your own designs but if you have something of your own in mind please make sure they are printed onto regular copier paper and in a simple silhouette format which will enable you to cut them into a stencil with a craft knife. 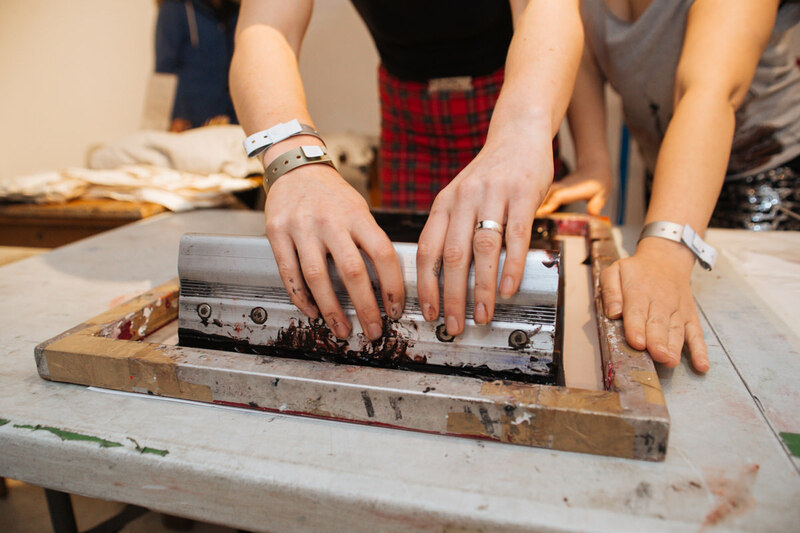 If you are looking to get to grips with the lo fi method of screen printing, then this workshop is for you. After spending an afternoon with us, you will leave with the confidence and top tips to start your own DIY printing at home.